For many women, pregnancy is like a second birth. Many even consider that their life only truly begins the day they give birth. But there is a second group of women who are very worried at the idea of getting pregnant. It has nothing to do with not liking children, but it’s related to some common fears and worries that false information and urban myths have created around pregnancy. In truth, whether you are considering having children or whether you know someone who is, it’s good to get your pregnancy facts checked with science. One spoon for me, one spoon for baby – before you go down this route, you need to know that there is no need for pregnant women to eat for two. All a woman needs to be careful to do is to add 200 extra calories during the third trimester. Additionally, you should also select healthy food, such as healthy oil supplements and a lot of organic ingredients. Algae oil, for example, supports a healthy pregnancy. But it is about keeping plenty of natural vitamins and minerals into your diet. If you are already a healthy eater, there is nothing to change. Verdict: False, you just need to be healthy. You might hear from some women that a healthy pregnancy is a passive one. But pregnant women, more than anybody else, need to stay fit. For a start, a fit body will facilitate the labor and delivery work. But it isn’t all. It also reduces the risk of forceps delivery and C-section. Besides exercising during pregnancy helps to avoid most of the common pregnancy issues, such as diabetes, aching back, and heavy weight gain. Verdict: False, you should exercise during your pregnancy. There is no way around it: Pregnant women put on weight, even if they exercise and eat healthy, portioned food. But it isn’t a fatality. Real-life moms have tried different methods to get rid of the extra weight rapidly. For example, a mom who exercised while carrying her son and managed to trim down 30 pounds in only 2 months. Another chose to walk every day with her baby and experienced slow but significant results. However, in some cases, it can be difficult to get back to a slim waist if your abs and skin have suffered during the pregnancy. If you see no result at the gym, there’s still the tummy tuck operation to get things back on order. In short, nothing is set in stone. Verdict: False, if you work out, the weight will melt away. Cats are naturally associated with toxoplasmosis. However, if you have a pet cat, you don’t need to fear to pet your furry friend. You need to take care with cat litter, as this is where the parasite that causes toxoplasmosis can live. To avoid any risk, you should empty and clean the tray daily, wearing gloves during the process. However, you may want to get yourself tested in advance, as almost 40% of women are already immune to toxoplasmosis. Verdict: False, you only need to be cautious with the litter tray or to get someone to empty it for you. I heard a lot of these myths when I was pregnant with Mini-Me, who is now 23. When she was pregnant with my granddaughter, who is now 3, I found out that a lot of what I believed to be true over 20 years ago, were in fact, myths. As for Yoga, I believe it to be healthy and beneficial for EVERYONE, including people who are disabled like me and am working to incorporate a yoga practice into my daily life. I totally agree with everything you said. When I was pregnant with my daughter, I couldn’t over-eat because there simply wasn’t any room. The way she was positioned, basically made me full after an averaged portion of food. So, I only gained about 18 pounds or so. I did keep 10 pounds on after the pregnancy and now just lost it. I’m exercising a lot more now that she’s able to go to day care while I exercise at the YMCA. Its odd that some women treat pregnancy like an illness. Great post. Nice post, unfortunately popular lore as myths are horrible in order to a pregnancy phase, you know as nobody else and common sense is an excellent badge and beware in order to pregnancy cravings. This is beautiful! Always looking forward for your next post! Pregnancy makes a woman complete, there are lot of things that would make us feel happy & proud of being a mother. Hope you would list them once! I agree. I believe Pregnancy actually teaches you as well. Pregnancy is an Amazing time! From someone who’s done animal rescue work/worked in animal shelters, thank you SO MUCH for posting that bit about cats. I can’t tell you how many cats came into the shelter with “I got pregnant, so we had to get rid of the cat”. Seriously. The “You Can’t Exercise Anymore” is one of the biggest myths I hear. With your doctors approval :exercise is very beneficial in pregnancy. Plus there are so many fun types of exercise you can do while pregnant. The old saying “don’t believe everything you read or hear”. Now a days there is so much out there that is very positive. I found that during pregnancy if you smile you will have a happy baby. It has worked for others. Positive thinking does help. The advice on diet change, for example, has various aspects: firstly, pregnancy and childhood is the best time to talk to especially young women about the need of healthy etaing in general (and about many other things, like contraception), because pregnancy forces young women to visit health facilities regularly and makes them more responsive to counsel; secondly, women from poorer countries really need supplements (like Iron and Folic Acid) as their diet is very poor and the foetus depletes mother’s reserves rapidly, causing anaemia. So, it is not such a myth in Africa 🙂 Also “healthy diet” is a relative term, depending on our goals, and definitely not all such “health diets” will be so healthy for the pregnant mother, whose needs for sure change. Any women can exercise, but there are limits to what is permitted. I wouldn’t apploud lifting weights, or mountain runs, or parkour, or bungee jumping. The exercise program MUST be adjusted. The main weight gain during pregnancy comes from the weight of uterus, amniotic fluid, the foetus itself plus water retained in the body. The main problem thus is getting back into shape (physical condition and tonning) after delivery, which is reasonably easy if the mother had beed active before. 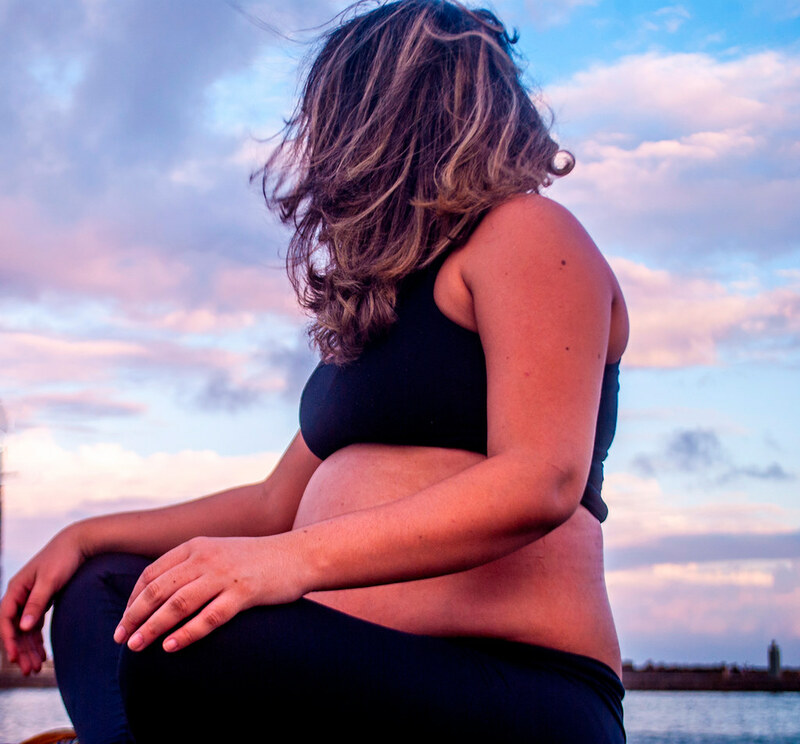 Therefore the fable about not being able to lose baby weight should rather go: “You will definitely gain some weight after pregnancy if you continue to be as lazy as you are now.” Pregnancy has little to do with it. Sound guidances change into distorted myths – agreed. But guidance is still there, otherwise by completely erasing myths we will arrive to new dangerous myths, like you can carry on exercising as before, or you do not really need to change anything in your healthy, slimming diet. Nice one, Ula. Informative and good read for both gender!